1. 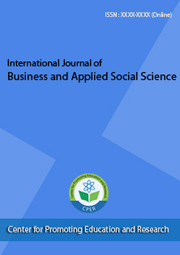 I want to submit my paper to International Journal of Business and Applied Social Science (IJBASS), does it fall within the scope of the journal? Answer: IJBASS publishes research papers in the fields of management, marketing, finance, economics, banking, accounting, human resources management, international business, hotel and tourism, entrepreneurship development, business ethics, international relations, law, development studies, population studies, political science, history, geography, industrial relations, information science, library science, media studies, methodology, demography, organizational behavior and theory, strategic management policy, social issues and public policy, management organization, statistics and econometrics, personnel and industrial relations, gender studies, journalism and mass communication, corporate governance, cross-cultural studies, peace and conflict, library and information science, public administration, psychology, philosophy, sociology, women studies, religious studies, social welfare, anthropology, linguistics, education, and so on. 2. Is IJBASS an indexed journal? Answer: IJBASS is indexed with and included in Crossref, DRJI, EZB, Google Scholars, index Copernicus, Sobiad, Cabell’s, Ulrich's, EBSCO, DOAJ, JournalSeek/Genamics. Moreover, the journal is under the indexing process with ISI, ERIC, Scopus and Econlit. Answer: Yes, IJBASS is a refereed journal. It follows double blind review process. Answer: Yes, IJBASS is published only online versions. 5. Is IJBASS an open-access journal? What are the benefits of publishing in an open access journal? Answer: Yes, IJBASS is an open-access journal. It is included in DOAJ. The readers, students, teachers, professionals and authors can easily access to the contents of an open-access journal. It ensures the readers of a paper world-wide. 6. What type of paper does IJBASS publish? Answer: IJBASS publishes original papers, review papers, conceptual framework, analytical and simulation models, case studies, empirical research, technical notes, and book reviews. 7. Does IJBASS publish special issue? Answer: Yes, special issues devoted to important topics in usiness and applied social science will occasionally be published. 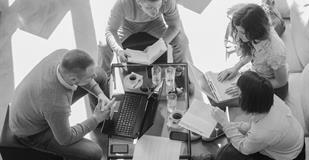 Business innovation and research strategies, tactics and tools of both theoretical and practical nature are welcome. 8. Who is the publisher of IJBASS? Answer: IJBASS is run by Center for Promoting Education and Research (CPER) USA. 9. I want to submit may paper to IJBASS, how should I submit it? 10. Does IJBASS have "manuscript submission guidelines"? Answer: Yes, IJBASS has its own manuscript submission guidelines. Author(s) are advised to follow the Author Guidelines in preparing the manuscript before submission. 12. How much time does IJBASS take in review process? 13. Does IJBASS require any publication fee? 17. I want to join the review team of IJBASS. How can I become an honourable reviewer of IJBASS? 18. What is the frequency of publication of IJBASS? Answer: IJBASS is monthly journal. It publishes one issue per month. 20. IJBASS Provide DOI (Digital Object Identifier)? 21. Are published papers archived? Answer: Yes. We are a member of CrossRef, each published article will be archived by its unique DOI number. 22. Can I see my paper in google scholar? Answer: Yes. All accepted papers are indexed in Google Scholar and they can be found on the web. 23. Can I withdraw my paper after publication? Answer: Yes. Authors are free to withdraw the paper by submitting a letter stating the reasons for doing so to the editorial office. 24. I want to know about the copyright policy of JBASS? Answer: Copyrights for articles published in JBASS are retained by the authors, with first publication rights granted to the journal. The journal/publisher is not responsible for subsequent uses of the work. It is the author's responsibility to bring an infringement action if so desired by the author. Authors preserve copyright and grant the journal right of the publication with the work simultaneously licensed under a Creative Commons Attribution-Share a like 4.0 International (CC BY 4.0) that allows others to share the work with an acknowledgment of the work's authorship and initial publication in this journal.